Find hotel near Museu De Artes And Oficio .. The museum was founded in pursuit of an unusual goal – to tell the story of the craft and labour classes of Brazil. Located in the historic Old Central Station of Belo Horizonte, the 9000 metre square establishments does more than merely preserve history though; it also tracks the transformations of the labour class. Its collection currently numbers in the 1800s, covering wood, iron, leather, ceramics, jewellery. It also explores the origins of footwear, looms, carpentry and kitchenware. Check out the shop and the cafe. Free for students and teachers and kids 5 and under. 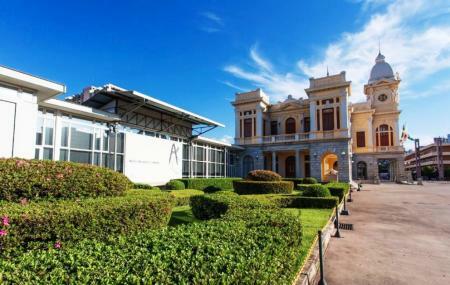 How popular is Museu De Artes And Oficios? People normally club together Igreja Sao Francisco De Assis and Palacio Das Artes while planning their visit to Museu De Artes And Oficios. Excellent! Learn about the history of Minas Gerais. Alambiques from prior centuries. The perfect place if you want to know more about the Belo Horizonte and Minas Gerais history. There's a lot of artifacts and objects that show us everything of the past and the modern times.